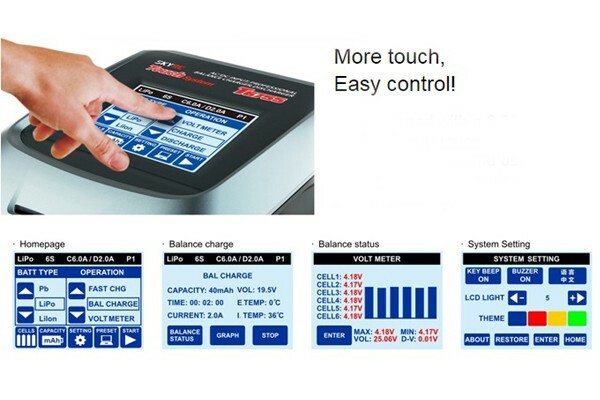 More Touch Easy Control! 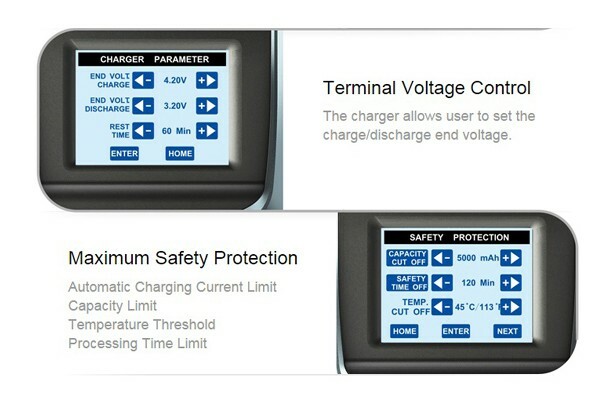 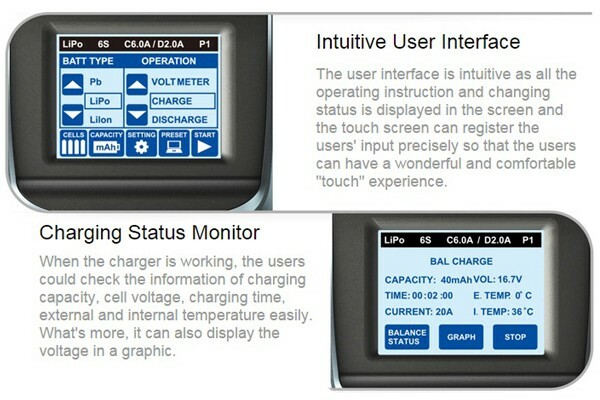 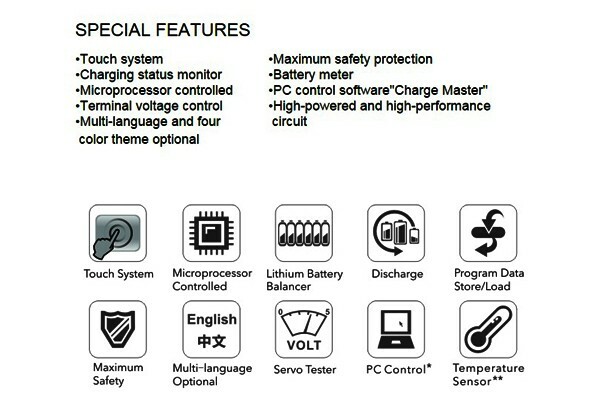 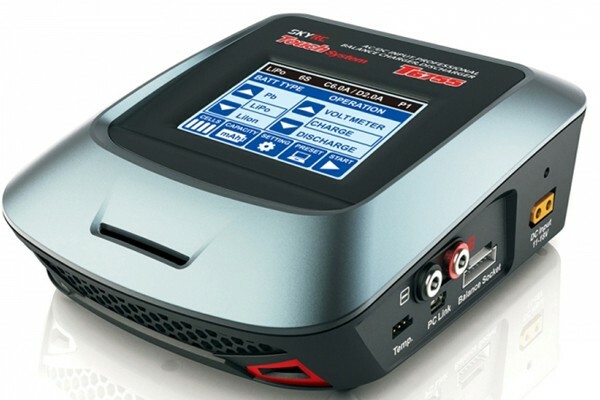 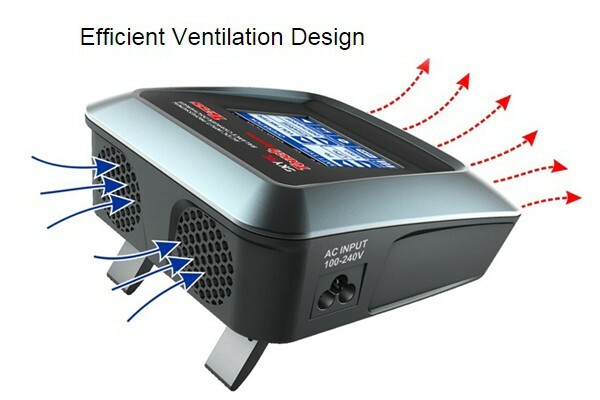 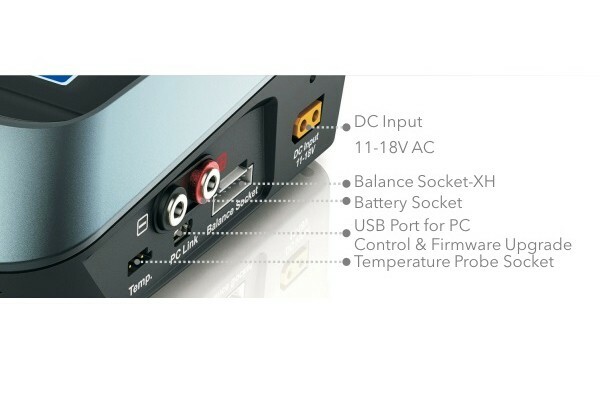 Touch screen charger with built-in DC Power Supply Unit, saves money, saves space. 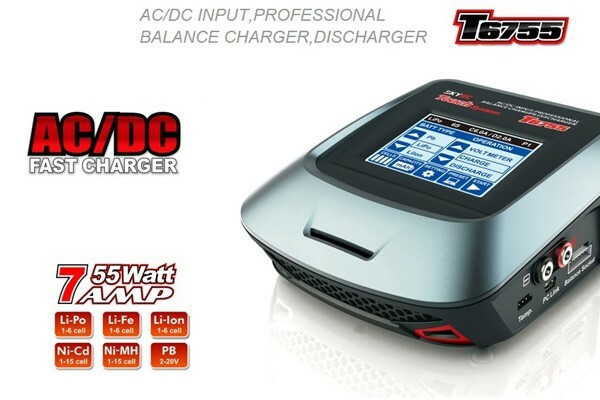 T6755 has a built-in power supply unit with 55 Watt / 7Amps output, this is great for 3S-4S Li-Po users, you can plug the charger directly into your wall socket, no messy cables or bulky DC PSU.